...once you learn to apply this profound new breakthrough about a previously unknown part of your subconscious. I'd bet that if you could narrow down to one thing, and one thing only, that could be the culprit behind an entire range of difficulties in your life, it would be this: Difficult feelings or emotions. And not just that, but difficult emotions from negative experiences in your past that are still unresolved in your system. Sound too simplistic for this one thing to cause you so much trouble? All you HAVE are thoughts and feelings. Well, to put it in perspective, all you have are thoughts and feelings. That's right, it's true. Thoughts and feelings are the only two things you can experience. Which one of those, therefore, do you think could be the culprit behind all your major problems, stuckness, and lacks or restrictions in your life. What are thoughts but maybe just invisible vapor that goes through your awareness for several fleeting moments and then is gone? So not much substance behind a thought, when you really think about it. and an energetic pressure that you can't outrun. 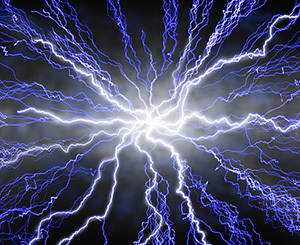 Feelings have a charge, a literal electrical charge, and pack an emotional punch with energetic pressure that can cause even the strongest man to run in fear or cry like a baby, and at the most inopportune moments. Feelings, in fact, "hypnotize" your system in a way that forces you to almost BECOME the content of the feeling. You never say "I FEEL sad," do you? Don't you say "I AM sad"? This is because you can't help being affected by this electrical discharge. At the end of 2004, I was about to have a second major breakdown. The first one occurred seven years earlier, and felt like it lasted all seven years. I don't want to get too descriptive with the experience I had, which wasn't pretty, I have to warn you. But I really want you to understand the foundation of where I was coming from and what I used to help me get out of it. 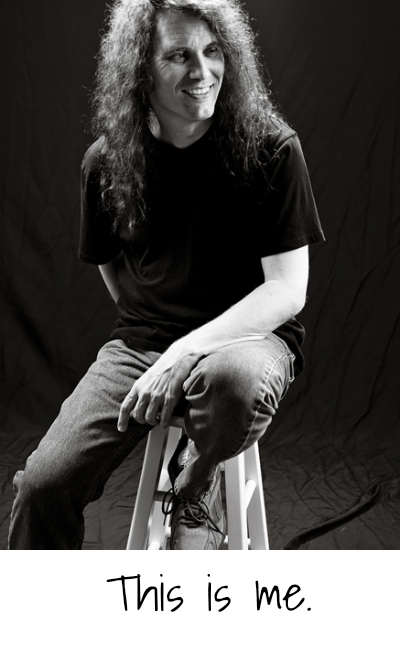 It felt like the top of my head blew off, I had a gaping hole in my body from my neck to my navel, like my nervous system got hit with a 100,000-volt charge, and like they were knives constantly tearing up my abdominal area. AND THIS LASTED FOR SEVEN WHOLE YEARS. So you see, I was already going through a lot of trouble, and saying that it was "hard to make it through the day" would be a severe understatement. And seven years into it, after even more severe stresses, including a major car accident where I woke up an ambulance, I was about to have another breakdown. And recognizing that I might not have made it out alive, I did the only thing I could think of left to do. I told God, "I give". As in "I give up". Okay - here's where it gets a little less-than-mainstream, but if I didn't tell you everything, it wouldn't be fair to you. 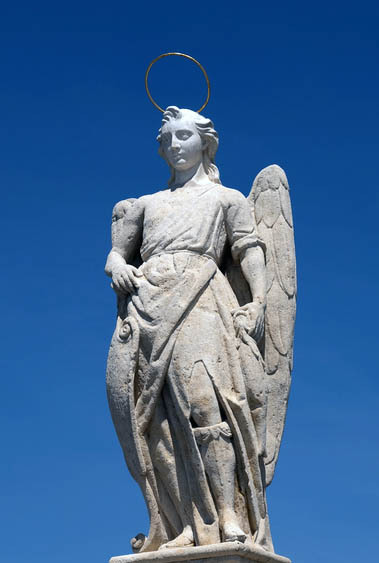 I am known in various parts of the world as "The Angel Guy" because of my ability to help people learn how to connect with their Angels on a consistent, daily basis to help receive the guidance each person needs to improve their lives in every way. Okay, I KNOW that might seem far-fetched. But this is what I started to be able to do shortly after I said to God, "I give" - I started recognizing the presence of Angels who led me to various methods and processes that would help me and my growing list of international clients find peace out of difficult experiences. And many times those experiences became unable to affect me or the other people again. I was led to things like "EFT" (Emotional Freedom Techniques), a wonderful way to release emotional blocks, by tapping on specific acupuncture points in a certain way. And I recommend you check it out for yourself when you have time. I was led to even more tools and processes - which I don't want to mention here - that were a wonderful part of my own healing journey. If life is a journey...how do we just GET THERE already? "How do I just GET there already?" And of course, "there" was back to peace, balance, and wholeness...as soon as possible. And I did not want it to be harsh, either. It was already harsh. Over seven years worth...which I did not want to go back to. And over eighteen months of intense development, experimentation, and testing on others, the "this" that they were referring to grew and evolved into the system of tools and methods that I now call "Inner Influencing". restore inner peace, emotional freedom, and inner harmony. These same processes can help to remove blocks to your forward movement in life that even block synchronicity to the things that you want and need for your life to be complete. I developed Inner Influencing over an 18 month period of intense trial and error, experimentation, and exhaustive amounts of application on every type of subject that I could find. And on not just me, but a special group of private coaching clients, and they got the same results. I developed it so you and anyone who wants their life to have more emotional balance, harmony, and inner peace can get those things in ways that are fast, easy, and gentle. This also goes for people who want to get out of stuckness, move forward into a life of their dreams - instead of having to put up with a nightmare situation they are currently in - and to be more able to control their moment-to-moment life experience. 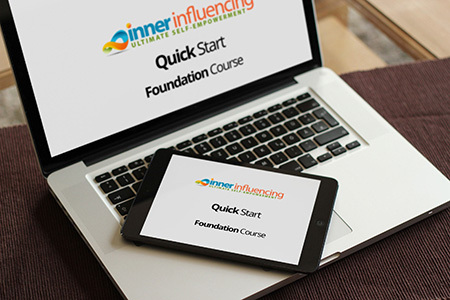 "Since getting your Inner Influencing program, I have seen some pretty amazing results. I have noticed a remarkable change in my attitude. I am feeling much happier than I can ever remember. Often, I now catch myself singing or whistling. Something I wasn't even working on - I find my posture has improved significantly. The biggest change has been in the dynamics of my family relationships, especially with my wife. It's really interesting when we start to eliminate all the garbage how we effortlessly treat others differently." "I am a practitioner of BSFF, EFT and various other healing modalities. These modalities work miracles, but for some stubborn issues they don't seem to cut it. I enrolled in Paul's course thinking "oh, another modality"....Well I'll try it anyway. I was applying Inner Influencing on myself for resentment towards my ex-spouse for 2 years. Mind you I was vigilant, every time resentment came up I treated it with BSFF or EFT. But the relief I was looking for was not happening and a few days later I would catch myself ruminating over the ex all over again. "I've tried a variety of modalities from EFT, to TAT and some others. Although I appreciate aspects of all of these, I can honestly say that Paul Greblick's Inner Influencing Technique is the best thing ever. The results are wonderful, and I highly recommend that anyone seeking more freedom in their lives try out his technique through his products or classes. You won't be sorry." How subconscious negative emotional energy works to block the good in your life, causes much of your life difficulties, and how to eliminate it. Three separate yet powerful techniques that can help you start to erase the subconscious blocks to your life being completely ideal for you. How to target and eliminate the invisible contributors that are keeping difficulties in your life for way too long. How to uncover the root causes behind your emotional difficulties and how to eradicate them with startling speed and ease. How to regain a sense of self-empowerment, self-worth, self-love, and self-trust that will never go away. How to eliminate the remnants of past difficulties and keep those from affecting your life ever again. How to once and for all be in charge of your life, and take it wherever you want to go. that work directly on the subconscious. 2. You're getting rid of the root of the problem, instead of putting a "band-aid" over it. And these "band-aids" could come in the form of unstable behavior, like drinking too much, anger or self-worth "issues", gambling and risk addiction, or anything else that keeps the emotional energy down and out of your awareness. 3. You're developing a natural sense of "immunity" to the original problem. Get rid of enough negative subconscious energy about your mother, for example, and it's unlikely that she COULD even bother you to that extent again. I know, "that would be a miracle," right? For some of you, at least. That's why I invite you to try this program and enact my 60-day full money back guarantee if you're not happy with how little your own mother could affect you by the time you're done. 4. A greater sense of control and SELF-control in the ability to direct your energies back in balance. You're going to be able to move out of your life and the inner parts of you, all of the energies that are no good and causing you emotional imbalances, and make room for those that enliven you instead of weakening you. 5. No long periods of costly therapy that offer only marginal results in many cases. Subconscious-based techniques get to the root of the problem FAST...without talking about it forever. 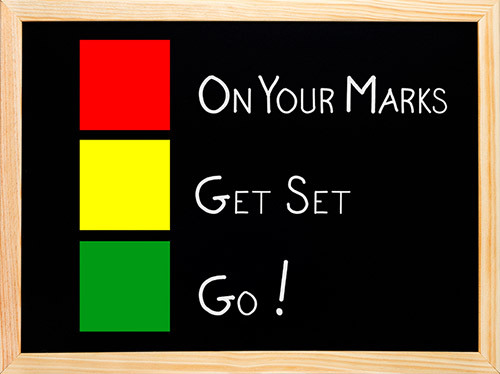 Do you WANT to spend your life "almost" making progress? Do you want to "manage" your anxiety, your fear, your anger? Or do you want to be done with it once and for all? If you don't want to be free of it, then don't waste my time, and come back when you're sane or serious about your life. You're worth all good things. I'll still be here. it's our subconscious that's behind most of our major difficulties in life. 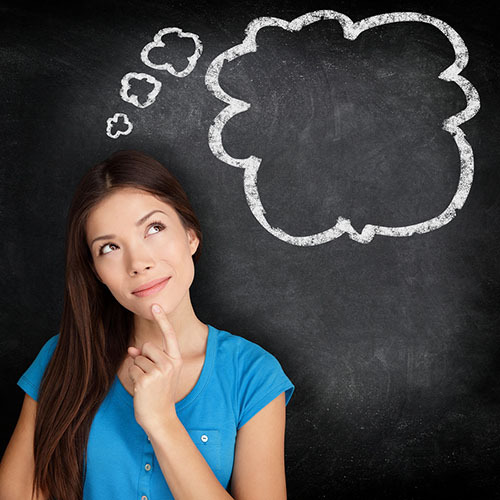 Hypnotherapy knows that the subconscious is the key to the cause of pretty much everything. That's why its results are so amazing. But who wants to take an hour or two, and multiple sessions - in an altered state of consciousness, mind you - just to see positive changes in their life? I mean, once or twice is okay especially for the heavy or difficult stuff, but in terms of the amount or number of subjects that make up your life and the amount of times you'd have to "go under", it could take FOREVER. You'd be in a hypnotic or "alpha" state for most of your life, letting it - your life - get away, never to return. Through a breakthrough new discovery of an additional component in our subconscious, results APPROACHING hypnotherapy can be reached in as little as ten seconds. Through the discovery of this new part, what I call the "Subconscious Helper ______" (not going to reveal it here. Sorry.) 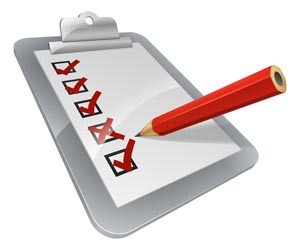 results like what hypnotherapy promises can be had in as little as 10 seconds. And no altered state, no 45 minute-long induction needed, and no limits to a single topic for the whole session. You heard me right. Once you're adept at Inner Influencing you can start knocking out topic after topic in as little as ten seconds. Note: This system of tools and techniques is not meant as a replacement for hypnotherapy or traditional therapy. Sometimes the really BIG issues require the "big guns" like hypnotherapy. But we also need a method that is fast, easy, and gentle...and without having gone into an altered state just to get the benefits of it. Except that you're going to get me as a "virtual" coach for a fraction of what my private sessions cost. I do a limited number of private coaching sessions per month to help learn this process as fast as possible and to work on eradicating the subconscious factors for each of a person's own needs. Note: If you find that you're wanting my own personal attention on your specific needs or goals, I'll give you a special offer to get my direct help at the end of the course at a reduced rate. IF I have any openings, that is. I can only do a very limited amount of personal, direct coaching at any one time, because of the time dedication for me. Gaining more control of your day to day life experience. More ability to set and defend boundaries. Healing relationship difficulties, even ones from the past where the other person is no longer close by or even alive. 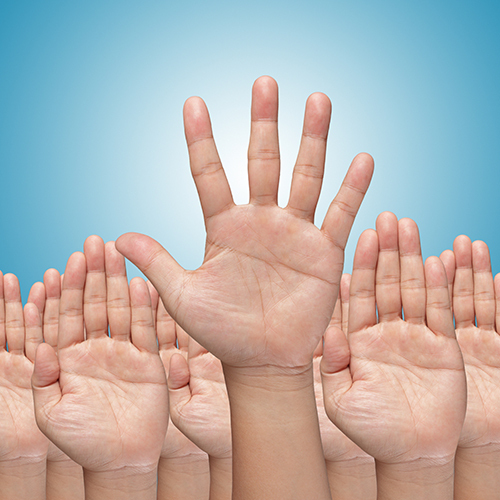 Ending the "people pleaser" program. More ability to end negative situations and begin more positive endeavors. Removing the role difficulties and restrictions of "being a man" or "being a woman". once you learn and apply Inner Influencing to the various parts of your life. "Since getting your Inner Influencing program, along with your personal coaching, I have seen some pretty amazing results. I have noticed a remarkable change in my attitude. I am feeling much happier than I can ever remember. Often, I now catch myself quite singing or whistling. Something I wasn't even working on - I find my posture has improved significantly. The biggest change has been in the dynamics of my family relationships, especially with my wife. It's really interesting when we start to eliminate all the garbage how we effortlessly treat others differently." You'll get knowhow in not just this amazing series of techniques, but also "what to target" to get best results, and it's the most important thing that other programs have even left out! 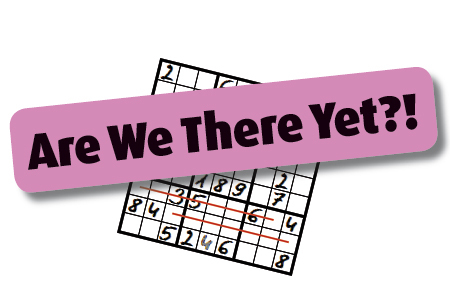 It's a continually running course - you don't have to wait for a special date to start. You could start right now, even if it's 2 am and you live in Tanzania. You'll get a greater understanding of how your subconscious works, both in your favor and against you. And you'll know what to do about it! You'll get a new course module describing new techniques and applications delivered to your inbox every week for the duration of the course. Your inner peace and balance will increase day after day as you use these methods because you'll be getting rid of the root causes to what blocks the whole thing right now. You'll feel like most people do after learning these techniques, which is like new opportunities have opened for moving forward in your life and out of stuckness and "what's NOT possible" to get to in your life? You'll start to get a sense of control back in your life, even if you haven't had that for 10, 20, 30 or more years. Techniques that work both toward the negative elimination of the problem or difficulty as well as the positive acquisition of what would bring greater wholeness to your life. Get results right away with the "Quick Start". Start learning to get results in the direction of your inner peace and balance in as little as 10 seconds. Discover a quick method that you could use in any situation to reduce the intensity of regular emotions in the way of your inner peace. 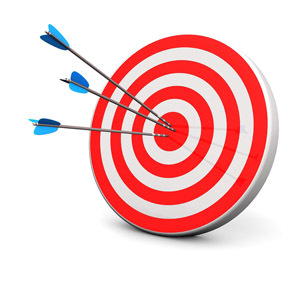 Target and begin to eliminate the following emotions: fear, anger, grief, guilt, frustration, and embarrassment. The "Subconscious Directive Technique" packs the biggest punch of the three techniques (that's why I show you it first) and can help you start getting results in as little as 10 seconds. 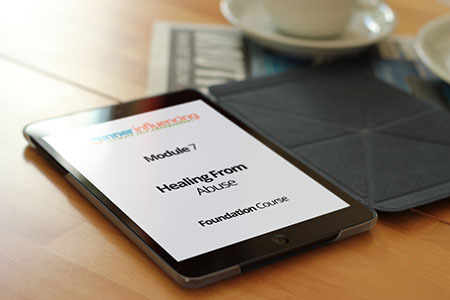 This module will teach you how to start getting immediate results from this newly discovered "subconscious helper" that is always with you. You will start to not only remove negative subconscious emotional contributors, but learn how to move toward more positive experiences, and quicker than you might be used to. You will start to target and remove the deeper energies of what I call "Core 11" emotions underlying many of the major "surface" emotions that you experience each day, including unworthiness, powerlessness, lack of control, and eight more important ones you want to make sure you eliminate from your life forever. Take it up a notch with "Affirmations 2.0". 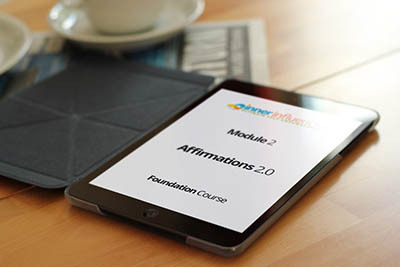 This module will teach you about a new way to use affirmations (that actually works) to bring you closer to what would significantly add to your life at each moment. You'll learn why traditional affirmations don't work on bigger, more potent issues, and how it's not your fault if they hadn't worked in the past when you were actually "doing them right" according to the so-called experts. Learn one simple wording change that will ensure that the affirmations you choose to use on your most difficult topics or your biggest longings actually have a chance to work. This is a ZERO resistance affirmations technique, which is nothing that is close to what happens in traditional affirmations. 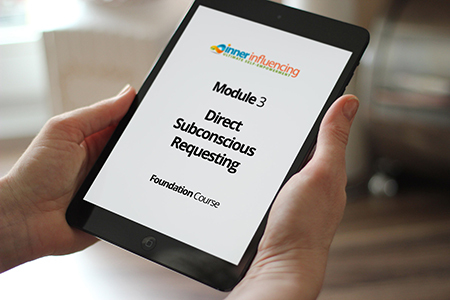 Gain even more influence over your subconscious faculties through "Direct Subconscious Requesting". 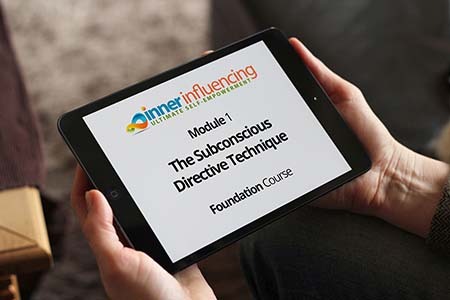 This module will teach you how to have the subconscious do YOUR bidding, instead of you being victim to it forever more, and powerless to change anything. Turn your subconscious into a friend and not an enemy. This is a fast, "on the fly, on your feet" technique for when you don't have the ability to stop and remove yourself from a difficult situation. This module will teach you to eliminate all nine of the invisible, hidden "contributors"' (and their sneaky little opposites) that KEEP a problem being a problem for you. Learn how to eliminate deeper, more difficult issues for good. Learn what the nine major "contributors" are that keeping problems alive and well how to quickly undo them. The "Crown Jewel" of Inner Influencing. 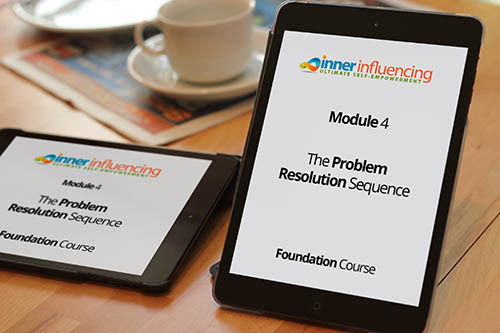 It COULD be called Inner Influencing 2.0, but you get it as part of this course. 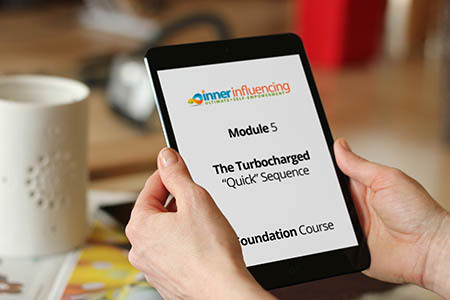 This module will teach you how to get the same results from the "4 minutes to freedom" sequence in as little as 10 seconds. After learning this process, it will be "open season" on your emotional difficulties, and they'll have NOWHERE TO RUN AND NOWHERE TO HIDE. Learn to move your life forward in days or weeks rather than months or years with some other programs. This is where things really start to move - how to apply it to the various parts of your life you want to change for the better. This is where most programs stop. But this course will show you exactly how to target and eliminate the emotional contributors behind a vast array of subject matter. Introduce you to the "Eight Life Areas" and help you make each one most ideal. Begin your journey using Inner Influencing on each part of your life. Learn how to undo the blocks to synchronicity and make more room for all the positive experiences you want and need for your life to be whole and complete. Abuse for many people has been a part of life. Here's how to make it a thing of the past. And to keep it there. You don't have to suffer with the scars of abuse. This module will start you on your way to eliminating them permanently. Address various areas of abuse and help you heal from it in ways that are fast and easy. Reclaim your self-worth, permanently so. Start you on a new life where abuse will seem like it happened to "someone else" without repression or having to hide it or even be shameful or embarassed about it. 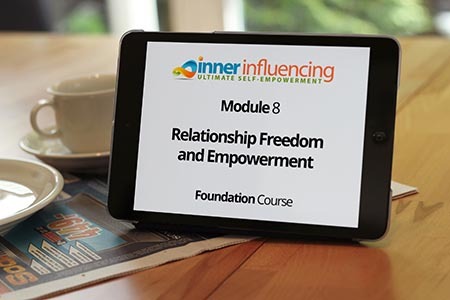 Become empowered in your relationships - from family to friends to lovers to exes in all categories. There is no need to have dissatisfying relationships.Learn how to target the factors keeping all of your relationships from being healthy and ideal. Help you move on from the more difficult relationships in your life. Make you more immune to difficult relationships from the past. Empower yourself to have more personally blessing and honoring relationships of all types. You will receive every new enhancement, update, or revision that is ever included in future versions of the course for free...no matter if that's tomorrow or 20 years from now. 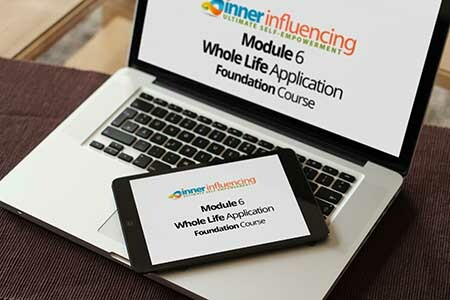 Putting your efforts into the course today means you can get started right away receiving the benefits of using the system, plus making sure that you'll never lose out on "Inner Influencing 3.0" or beyond. Not $999, not $799, not even $499. You get 100+ audios along with six text modules as well as two bonus modules for only $147. I've had people tell me that these techniques are worth thousands or more to them. Because it's time for the world to evolve. It's time for whoever is ready for their life experience to match their well-being and ideal to know how their inner process work, and what to do about it to change those things that aren't working, and to start moving toward a life that is right for them in every way. And I realize that economic times aren't the greatest for everyone right now. So in order to get this to as many people as possible, I'm offering it for as low as I can while still maintaining the high level of quality and service that people know me for. But I'm not sure how long I can afford to offer this powerful material for as low a price, so take advantage of it while I am still debating to raise the price to equal to some other programs out there (even some less effective). - and that's longer than the course itself! I want you to feel so safe to try this for not 30, but 60 whole days, to see how using Inner Influencing can fit into your life and take it where you want it to go. Yes, I know that's longer than the course itself. Yes, I know that you could just learn it ALL, get all the benefits, improve your life to whatever extent you want, and still ask for a refund. I realize there might be people out there who are unwilling to pay something so small that does so much. I don't care...and that's the risk I'm willing to take. Because I know this can help you and I know that you need it. I also know that you've been waiting your whole life to finally have more control over your experience - to move out of difficulty and to move into the positive, loving, life that's right for you in every way. So this is really about me taking the risk so that you've got nothing to lose. You already have your problems, your difficulties, your weaknesses, and you can't change them to your liking right now or you would naturally move out of where you are and into the life that's right for you. And so do you know what will happen if you don't do anything with this program? Quite possibly NONE OF THAT will change. And I KNOW that a part of you secretly knows this, too. Do nothing, or don't' the wrong things, and nothing changes. But try this program, give it a good honest effort for 60 days...and you could be well on your way to a more self-empowered, self-loving, self-worth (and worth quite a lot) life. One that you like in every way. Has there never been a more obvious answer to anything for your life to get better in the history of the whole Universe? Click below to give yourself the chance to finally embark on a journey toward living the life that you were meant to live. The one that you were designed for. And the one you deserve. And the one that is waiting for you. Or don't and see if it happens on its own. I think you and I both know what the likelihood of that would be. P.S. In mere minutes, you could be using this subconscious breakthrough to start eliminating fear, moving toward your more ideal life, and have the peace, and personal fulfillment, and empowerment you totally deserve but may never have thought was possible so easily. You are signing up for a breakthrough course, taken at anytime, over the internet, that is completely self-paced and self-guided, that will teach you how to use a new discovery about your subconscious to make your life more ideal in every way. Right now, everything is displayed online. The documents and audios are all downloadable for offline use, though. There will be downloadable documents and audios only for a limited time as we convert to a more robust mobile, tablet, and computer-based offering. Is there a physical product I could buy? Right now we have a "commitment to digital" in order to help create a more sustainable earth. You are welcome to print out the documents that come with each module as you wish, though. Do you teach this live? At the moment, the bulk of out material is internet-based, and the training is self-paced, so you can start right now. We don't force you into a place or schedule. In the future, there may be opportunities to extend your ability to produce results with advanced training that is more in-person or live-based, and one-on-one coaching is available through our contact page.